The minimum wage debate continues on after a study released Wednesday says that 1.2 million workers in Pennsylvania would benefit from a minimum wage increase. The study conducted by the left-leaning Keystone Research Center broke down the statistics of who was working for minimum wage in each county. They examined their gender, age, race, education, family income and family demographics. “Almost 114,000 workers in Allegheny County would see their hourly wages rise if the minimum wage were increased to $10.10 an hour. Guess who those workers are? The majority of those workers are women workers,” said Sue Frietsche, senior staff attorney at the Women’s Law Project. 57.4 percent of those being paid minimum wage in Allegheny County are women; 92.1 percent are 20 or older; 79 percent are white, and 37.4 percent received some college education. 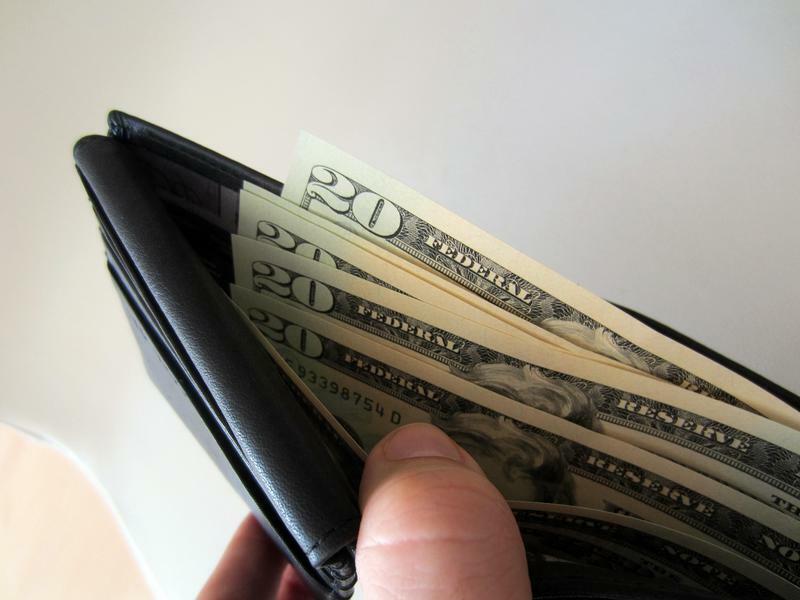 A study released last month tells a different tale of raising the minimum wage. According to economists at Trinity and Miami universities through the conservative Employment Policies Institute, increasing the minimum wage to $10.10 would result in about 30,000 lost jobs. “Each 10 percent increase in the minimum wage is going to reduce employment for effect employees by anywhere from 1-3 percent. So, sometimes it may be on the higher end, and there are some studies that have found even higher, and then sometimes it’s on the lower end, but I think somewhere in that range is where you can expect the job loss to shake out,” said Michael Saltsman, research director for the Employment Policy Institute. The Institute was created by the Washington-based public relations firm Berman and Company to lobby for the hospitality industry. The study states that most of those affected would be women accounting for 65 percent of the lost jobs. It also states that two thirds of the people who would benefit from the increase are second income earners or people who have a spouse that also works, with an average household income of $61,762 a year. The Keystone study states that 50 percent of the workers affected in Allegheny County have less than a $40,000 household income. “When you raise the minimum wage that puts more money back into the economy, and it actually improves the economy for everybody. It makes it more possible for employers to hire more people,” said Frietsche. Another study conducted after San Francisco raised their minimum wage showed that it had a minimal impact on employment, but a small impact on the prices at restaurants. Currently Senate Bill 196 would raise the minimum wage in Pennsylvania to $10.10 by January. It is sitting in the Labor and Industry committee. On Wednesday, April 15th, low-wage workers around the country are going on strike. 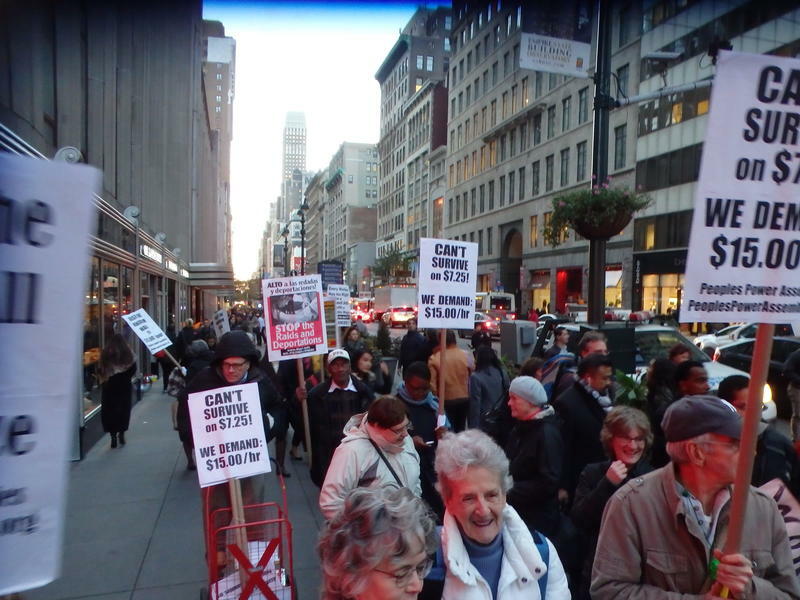 They’re coming together to demand the minimum wage be raised to $15 an hour. We’re previewing the rally taking place here in Pittsburgh with Rev. Richard Freeman, President of the Pennsylvania Interfaith Impact Network, and fast food worker Ashona Osborne. Also in the program, Robert Morris University professor Brian O'Roark offers his assessment of how the enactment of a $15 minimum wage would impact workers, employers and the economy, and Post-Gazette reporter Len Barcousky describes how, 150 years ago today, the first presidential assassination threw the nation, and its major media outlets, for an unprecedented loop. The “Fight for $15” will take to the streets of Pittsburgh April 15th. A small group of fast food workers and Pittsburgh organization heads gathered Tuesday in front of the Northside McDonalds to announce plans to strike for an increased minimum wage. Lolene Germany, a worker at KFC, said the strike will call for fair treatment in the workplace as well as fair wages. Employees working at small businesses within Pittsburgh could see a raise in their paychecks. City Councilman Corey O’Connor introduced legislation Tuesday he hopes incentivizes small businesses (15 to 250 employees) to raise their wage for full-time employees – currently $7.25 – to $10.10 per hour. For restaurants employees who receive tips, the legislation aims to increase their minimum wage from $2.83 to $3.93 per hour. To earn a living wage for a family of four while only making minimum wage, the two adults in that family would each have to work 68 hours a week. Another option, according to state Rep. Dom Costa (D-Allegheny), is to raise the current $7.25 minimum wage so that families in Pennsylvania could buy groceries and live comfortably while earning minimum wage.